Introducing The Sprinter Walking System by Columbia! Columbia’s latest innovation, the Sprinter Walking System, is designed for ease of use, efficiency, and safety. This patent pending Sprinter lives up to its name, moving 2–4 times faster from hole to hole than any other walking system on the market. Fine positioning controlled over the well head manages steering corrections without the need to lower the rig. 48" to 72" travel stroke, limited by rig structure. Auto Move feature automates the walking cycle and increases efficiency. All necessary steering modes are supported: longitudinal, lateral, diagonal, and spin. Expandable capacity from 1 million to 10 million pounds (500 to 5000 tons). Stompers do not rotate for steering changes, eliminating the need for operators to contact the walking system during operation. Non-rotating stompers can be rectangular and fill the area available within the substructure. The large rectangular stompers distribute the load over a large area, providing significantly lower ground bearing pressure than competitive systems. 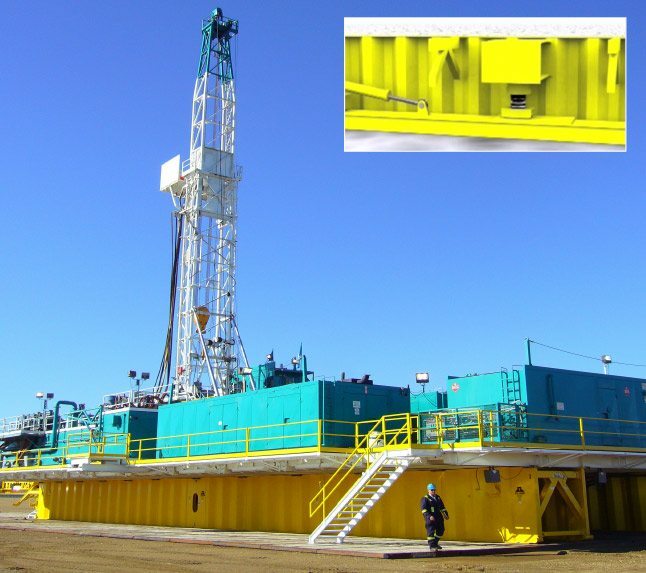 Inclinometers integral to the design ensure the rig stays level when lifting and walking. Wireless remote controls operate within a 100-foot range. 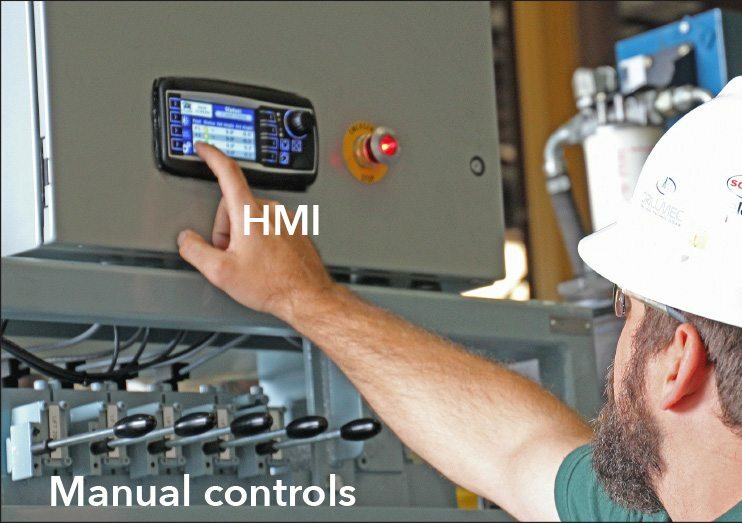 Five levels of controls redundancy ensure system functionality and reliability: Two wireless remote controls, a cable for hard-wiring the remote to the master control module, a full-color touch screen HMI (human machine interface), and manual handles on each directional control valve. The system design reduces maintenance costs. Critical wear components are designed to be replaced quickly and easily. Columbia Industries offers a variety of walking system solutions capable of moving loads of up to 12 million pounds. 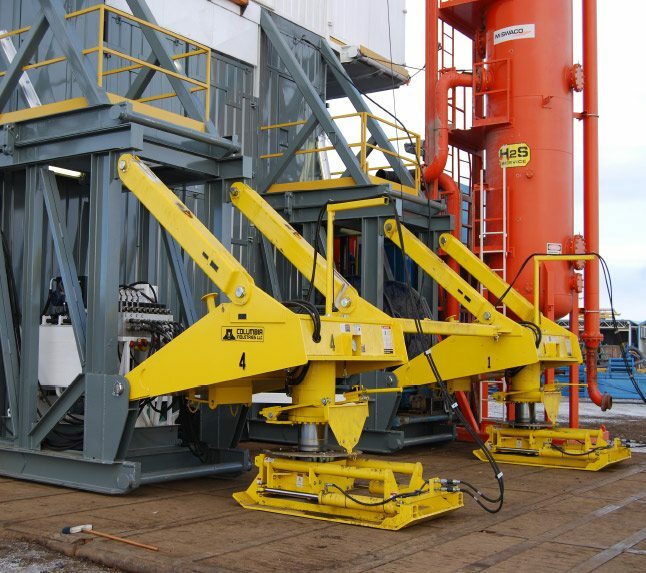 To ensure our walking systems match your needs, we custom design each of our systems to meet the fabrication requirements of our customers’ specific rig design criteria. Our Columbia Rig Walking Systems allow operators to move a loaded rig - including full fluids, back load, and all tools - from well to well. This eliminates the need to rig down for each move, and greatly increases operating efficiency by enabling batch drilling. 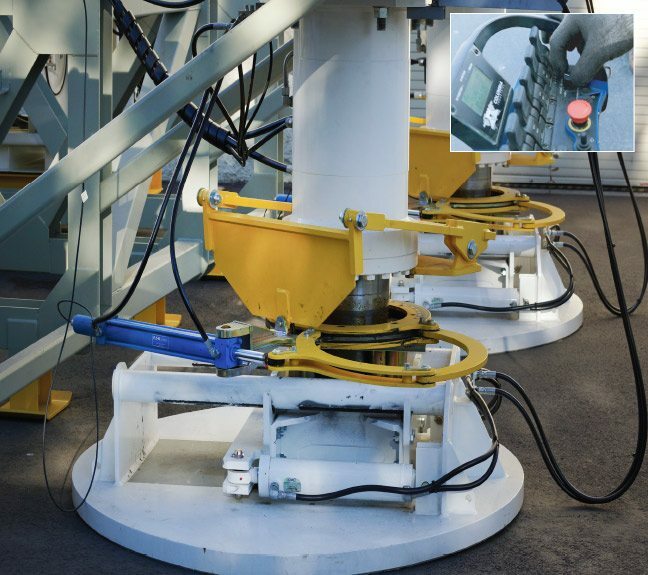 The Columbia Rig Walking System also allows multiple interconnected modules to be moved simultaneously. Columbia Industries offers patented wired or wireless remote control packages and autonomous walking (cruise control) to enable operators to be in the safest, most advantageous position possible while moving a rig. Our rig movement and steering options including forward, backward, right, left, crab, spin, and complementary movement. These steering modes allow for exact positioning on the pad, ensuring that the rig is moved safely and precisely. 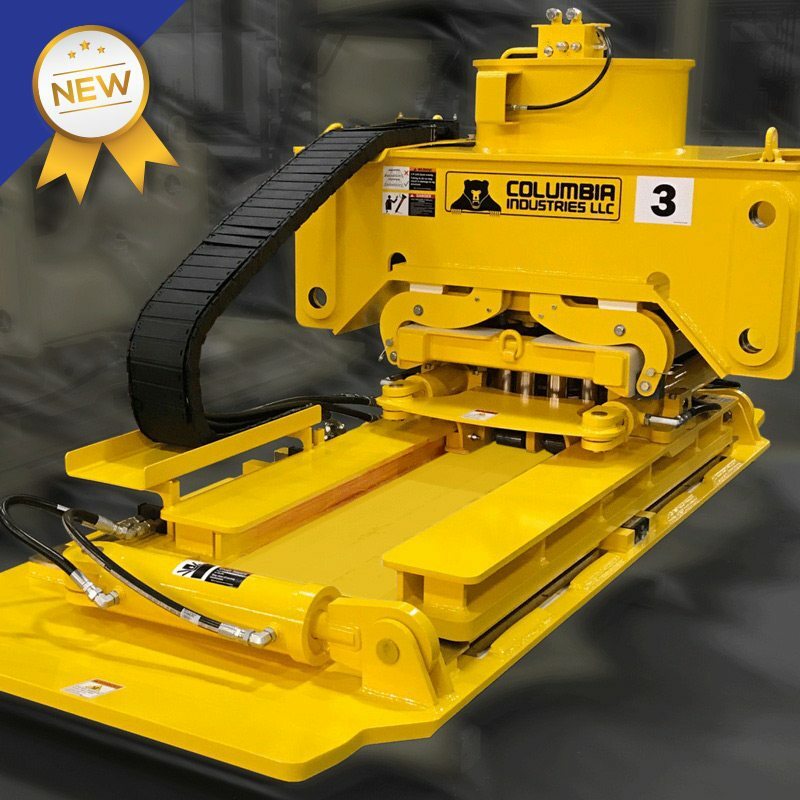 Designed to move rig substructures, the Columbia Kodiak Cub Rig Walking System utilizes Hilman rollers paired with over-sized lift cylinders and a low pressure hydraulic system to lift and move the entire substructure. With a customizable fit designed to connect externally to either slingshot or box-on-box subs, the Kodiak Cub can attach to any rig. Easily disassembled into truckable loads for transport to the work site. Kodiak Cub can be powered by the rig’s existing hydraulic system or by an optional electrical hydraulic power unit. 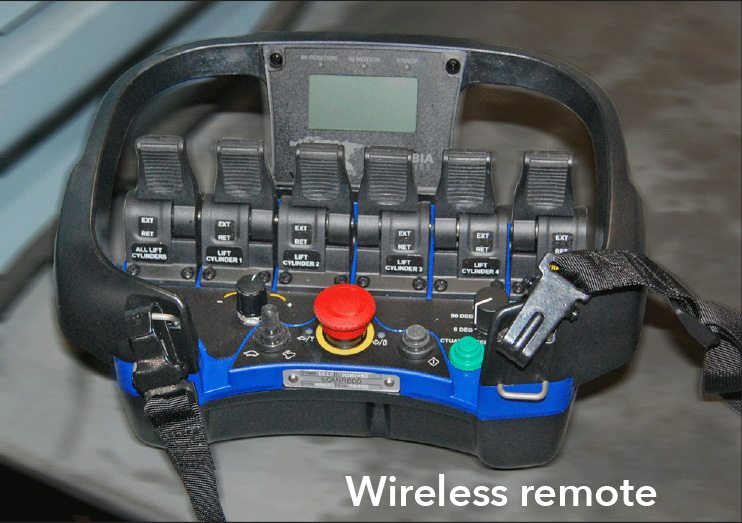 Wireless controls provides the operator with free movement and improve visibility during rig moves. Versatile steering system that allows for several steering modes, including spin mode. Ease of movement and setup enables the rig to move quickly from well to well for improved batch drilling. SAFETY FEATURES: The hydraulic system is a safe, low pressure system, that ensures smooth operation. The main lift cylinder hydraulic circuit features counterbalance valves that hold the cylinders in position in the event of a hose rupture or breakage. Emergency stops are mounted on both the power unit and handheld controls that will shut down the motor and valves of the hydraulic power unit. WALKING CYCLE: Four jack cylinders lift the rig, then four travel cylinders push the substructure along the walking feet on Hilman rollers. The jack cylinders then lower the load and the travel cylinders retract for another pushing cycle. Manually steering while the load is off the rollers makes steering adjustments easy to perform. HYDRAULIC POWER UNIT: This system can be powered by a Columbia hydraulic power unit, requiring only a 3-phase power connection for operation. Your system can also be configured to utilize existing rig hydraulics. The HPU can be located within the unit itself, near the rig modules, or mounted within the rig structure. Paint: We prepare surfaces for the paint process with a thorough cleaning and apply a three-part epoxy paint system in the customer’s choice of color. These High Capacity Pin-On Walking Systems provide our customers with a modified attachment option to the substructure. This design accommodates a specific attachment type, while retaining the flexibility and precision of all steering modes. Scalable capacity, based on customer requirements. 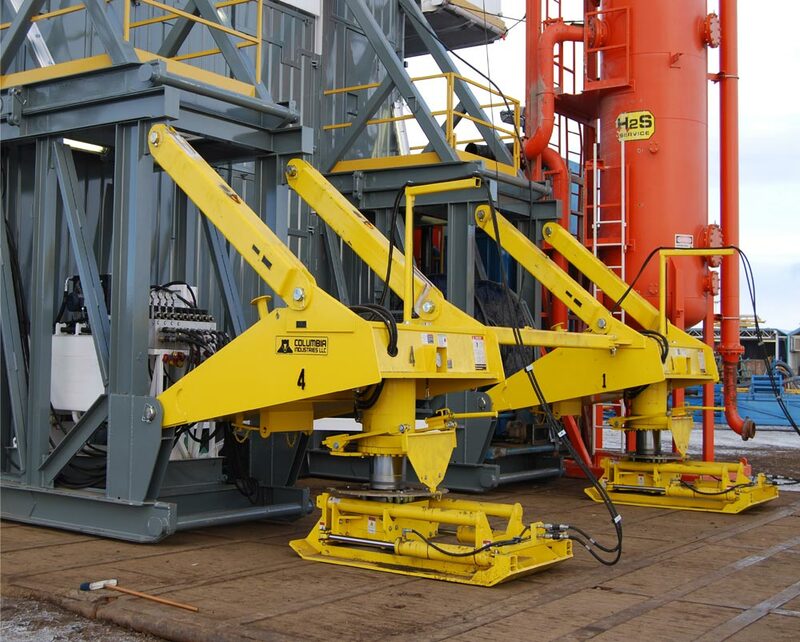 The Bigfoot Rig Walking System is a patented, scalable-capacity drilling rig and substructure moving system. 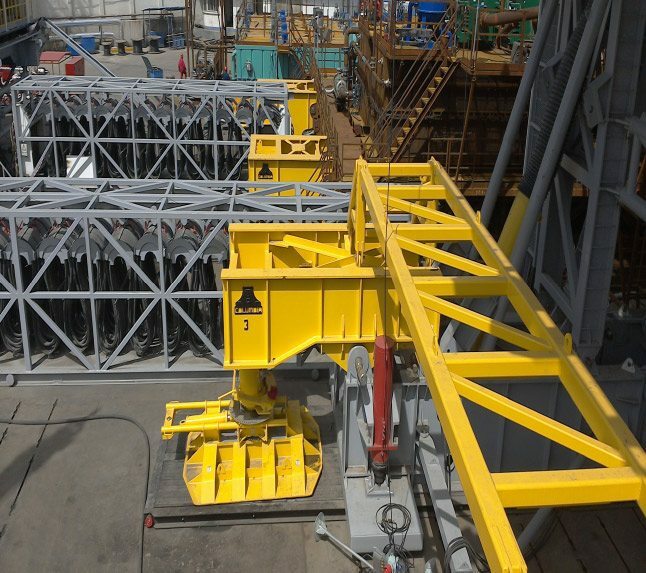 The system employs the use of rollers paired with lift cylinders and a safe low-pressure hydraulic system to lift the main walking beams that carry the rig weight. Smaller plank beams run the full length of the walking beams and support the rollers. Travel cylinders are connected between the main beams and the plank beams to accomplish the horizontal movement that moves the rig. The lift cylinders and travel cylinders actuate in sequence to move the rig at a very safe and controlled pace. This efficient design is field-proven to be the safest, most reliable and precisely controlled rig moving system in the world. Easily disassembled into truckable loads for transport to the worksite. The Bigfoot system is easily assembled by a small crew with a crane and basic equipment. Wireless pendant control provides the operator with free movement and improved visibility during rig moves. Optional hardwired pendant control with easily-adjustable steering linkages. Scalable capacity and custom design mean our systems can meet the needs of any job. Capacity: Scalable capacity from 2,000,000 lbs. to well over 12,000,000 lbs. Cycle Time: Approximately 4 feet per minute allows for precise positioning of the entire structure within 1/4". Walking Cycle: Lift cylinders raise the rig, then travel cylinders push the substructure along the center plank on rollers. The lift cylinders then lower the load and the travel cylinders retract for another pushing cycle. Steering adjustments are made by hydraulic cylinders while the load is off the rollers. Hydraulic Power Unit: A self-contained hydraulic power unit is included, requiring only a 3-phase power connection for operation. The power unit can be located on top of the unit itself, near the rig modules, or within the rig structure. Columbia's Littlefoot Rig Walking Systems use custom-designed beams to accommodate low ground bearing pressure, allowing for additional steering modes, including transverse. The beams designed are integral to the rig structure interface with the moving system. The Littlefoot Rig Walking System jack assemblies are directly mounted into the beam, minimizing truck loads during pad-to-pad moves. 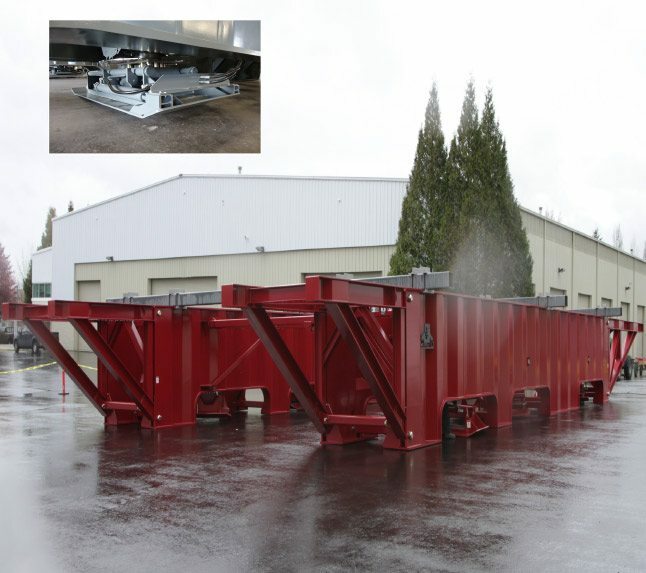 The Littlefoot system can be disassembled into truckable loads with each of the beams feature an integrated tail roll hitch for easy movement by standard oilfield trucks. Wireless controls provide the operator with free movement and improved visibility during rig moves. Columbia’s specialized jack assemblies enable full utilization of the 270 degrees of steering, including circular and lateral modes. CAPACITY: Standard beam lengths from 20' to 70'. Beams can be pinned together for increased lengths and capacities. Scalable capacity to 12,000,000 lbs. or more. WALKING SPEED: The standard configuration will move 50 feet per hour (15 meters per hour). SAFETY FEATURES: The Littlefoot Walker uses a safe, low-pressure hydraulic system. The main lift cylinder hydraulic circuit is equipped with counterbalance valves. E-stops are mounted on the power unit, as well as the hand held controls. The E-stops shut down the HPU motors in the event of an emergency. WALKING CYCLE: The lift cylinders raise the rig and the travel cylinders push the module. The lift cylinders then lower the load and the travel cylinders retract, resetting the system for another cycle. HYDRAULIC POWER UNIT: The system can be powered by a Columbia hydraulic power unit, requiring only a 3-phase power connection for operation. Or, your system can be configured to utilize existing rig hydraulics. The power unit can be located on top of the unit itself, near the rig modules, or within the rig structure. Optional diesel-powered units are available. PAINT: We prepare surfaces for the paint process with a thorough blast cleaning and apply a three-part epoxy paint system in the customer’s choice of color.